For my sins I've managed somehow to become a PADI IDC Staff instructor and lead instructor with Scubafish, I've been diving for over 10 years and working with student divers for more than 4 years. Working hard turning out all levels of divers from Open Water - Instructor Level, who hopefully are aware of the delicate nature that lies beneath them whilst they are diving. Well guys I have been diving now for 4 years, mainly in the UK and let me say guys this has got to be the best place to dive absolutely fantastic. 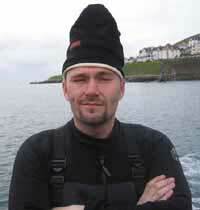 I became a PADI specialty instrucor in September of 2006, a load of hard work but fun and rewarding in the end. I'm now doing what I've always wanted, teaching others to dive and get as much fun out of the water as possible. I am originally from Newcastle, so its rare that the water is too cold for me. Although I have to admit to taking every opportunity I can to dive the warmer places of the world. 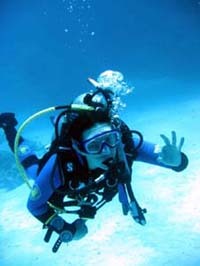 I have been lucky enough to be to dive in Greece, Canary Islands, Egypt, Australia and South Africa. I am particularly interested in taking underwater video footage, Some of it isn't too bad and it does generally give us a laugh in the pub afterwards. 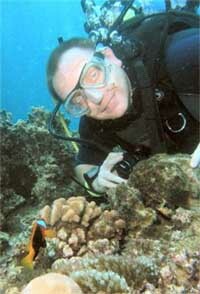 I look forward to diving with you guys and I can promise that you will have a great time with everyone at Scubafish.